Positive reinforcement excludes any type of aggressive vocabulary, conduct or relationship. Affection is an integral and fundamental part of educating your children in a healthy and positive way. Recognizing their efforts and achievements every day is a key part of motivating their physical, intellectual and emotional development. That’s why we want to talk about the benefits of raising your child with love and using positive reinforcement on a daily basis. Raising a child is a beautiful task, but it also has its challenges. Being a parent or an educator requires patience, dedication and skill. 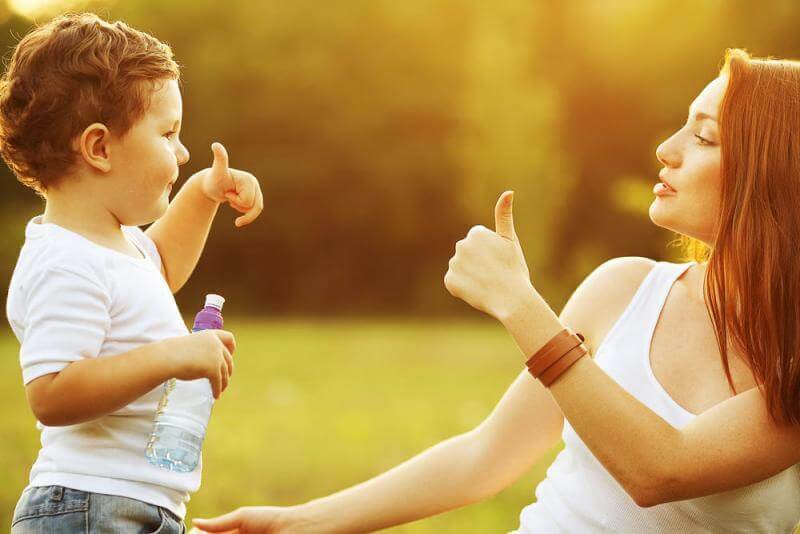 By correctly using positive reinforcement techniques, we can stimulate our little one’s learning. Positive reinforcement can be applied daily to optimize our child’s education. We’re not only referring to academic and scholastic knowledge. It’s also effective for stimulating daily habits regarding hygiene and participation in household tasks. The concept is based on rewarding, complimenting and recognizing positive attitudes, thoughts and behaviors. It allows the child to assimilate familiar, cultural and social codes. It also stimulates creativity and will to learn, and strengthens self-esteem. Positive reinforcement doesn’t necessarily have to involve a toy, candy or some other material good. In fact, affection, kind words and loving gestures are the best rewards for children. Especially when they come from parents, relatives and teachers. Physical and emotional abuse, on the other hand, are always counterproductive to a child’s education. Children exposed to violent environments tend to develop behavioral issues, learning difficulties, and problems socializing. Preserving the physical, intellectual and emotional integrity of our little ones is an indispensable part of educating them with love and values. We must understand, first of all, that children learn by watching us. That is to say, they construct their own personality and base their behaviors on the examples they find in their parents and other adults in their environment. Many children are raised in a dysfunctional way – lacking in affection, absent of values. And that creates in them an enormous emptiness that is difficult to overcome, even in their adult life. Therefore, it’s important that you demonstrate the example of what you expect from your own child, grandchild, niece, nephew or student. One great idea is to start regularly saying the best phrases for educating your children with love. Healthy coexistence for the entire family includes stimulating their learning. This is the simplest and truest declaration of love that a child can receive. It also helps parents remember the importance of being sincere about their own feelings. A child should feel sure about his or her physical appearance in order to have a healthy development and not create complexes. 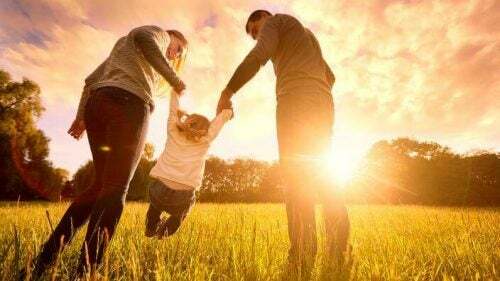 Complimenting your children daily and motivating your sons and daughters to care for themselves are excellent ways to reinforce their self-esteem. Children that are afraid of letting their parents down or have a fear of failure are insecure. They usually present learning problems and have difficulties socializing. It’s very important that our children have our support and trust in order to express themselves and discover new experiences. Showing interest and empathy makes your child feel integrated. It invites your child to participate and share in the family circle. Set aside time to spend with your child and enjoy his or her company. This is an essential part of healthy family life. And, of course, telling our children how much we appreciate them is critical. Gradually involving your child in household tasks is part of educating your child with love and positive values. This will teach your child how to share and take on responsibility. Your child will also learn that teamwork brings the best results. Not to mention it’s a great opportunity to teach your children about food and eating healthy. We’ve already seen the importance of motivating healthy habits like personal hygiene and participating in household tasks. A good way to teach a child to brush his or her teeth correctly is by brushing your teeth at the same time. Words and gestures having to do with good manners and respectful behavior should be learned in the home. Therefore, they need to be present in our children’s day-to-day lives, and taught by example. It’s important not to forget that we are the reflection of our children, grandchildren and students. Educating your children with love doesn’t mean setting some sort of regimen for showing affection. Rather, it simply means incorporating the previously mentioned phrases and attitudes into our daily lives. It’s giving the best of ourselves to our children every day. After all, spontaneity is the magic ingredient for educating our children with love.